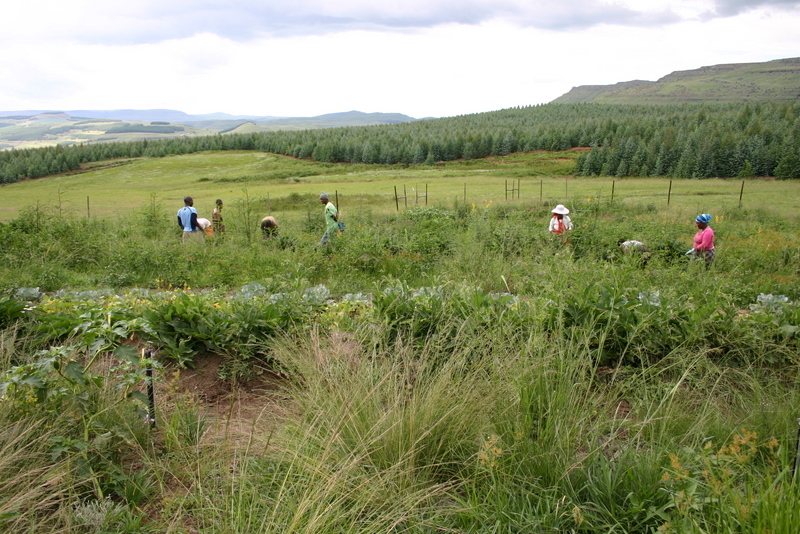 These photos show the permaculture gardens at Mqatsheni, South Africa. The gardens are being built with a grant from BGR through the Khuphuka Project of our partner, Dharmagiri Outreach. 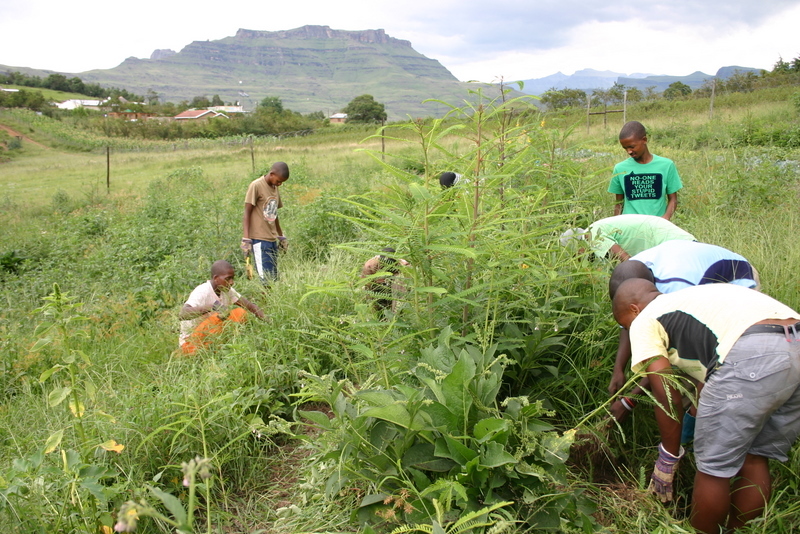 The Mqatsheni area has been severely impacted by the HIV/AIDS pandemic and food insecurity. More than 80% of the program beneficiaries are women, and 92% are unemployed. 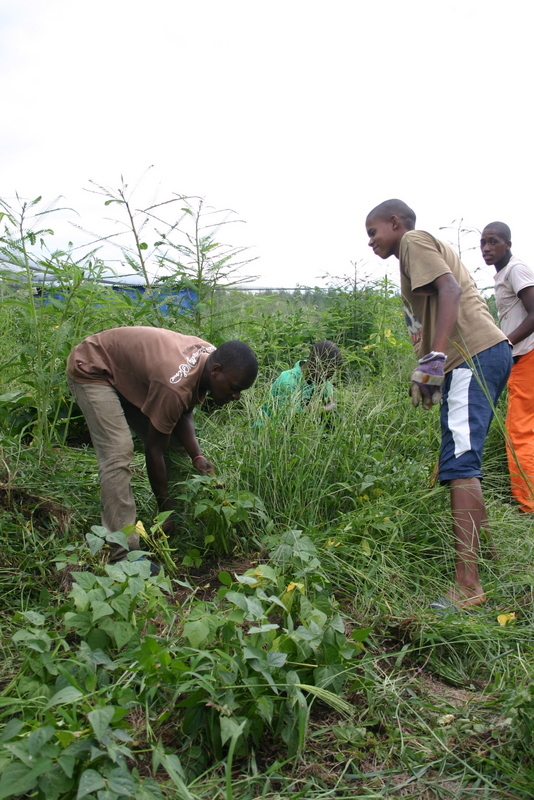 The project’s goal is to increase local food production in the community, and to provide the community with seedlings and plants now available only from remote nurseries. The garden will also be used as a training center to facilitate the knowledge transfer of gardening skills to the surrounding areas. In addition to the photos below, please visit the album of Photos at Picasa from this project.